Deliver on the expectations of the learner – provide solutions, education, and inspiration. Leave your attendees with key takeaways and action items. But be sure to make it entertaining – tell stories, speak to personal experiences, include video or bold imagery. Case studies or real-world scenarios also work really well to help illustrate points. Encourage speakers to have personality and add energy. It can sometimes be awkward when you have to present to your computer screen and you don’t have an in-person audience to infuse natural energy. Consider having another person in the room so the speaker feels like they are talking to an audience. Standing up to present (with the right headset to ensure audio quality) can also help ease a presenter who is more used to in-person events. Speak the language of your audience. When preparing your webinar presentation, know who is on the webinar – their role, industry, department, etc. If you have a varied audience, that is okay, but be sure to acknowledge that on the live webinar and set the expectation that some of the content may not be completely applicable. This is also a great way to encourage post-event follow-up if you are unable to address specific audiences. Remove the fear of presenting. Presenting can be scary and doesn’t always come naturally. Layer that with a presenter that isn’t all that tech savvy and we may have a recipe for disaster. Consider having another voice to help moderate and make the presenter more comfortable. Always have a training session on the technology before the live presentation to reduce fears about how the webinar platform works, or consider hiring an event production company so that presenters can simply focus on delivering content. Lastly, always do a thorough sound check – bad audio can ruin the best presentation. Include polls, breaks for questions, or even encourage attendees to openly use the chat window to share ideas. If the speaker is comfortable they may even address some comments on the live webinar. Know the flow of the presentation and your story. The webinar should address ONE thing. Don’t try to cram too much into a webinar, you will lose your learner and will simply run out of time. Avoid cobbling together a presentation from old decks – start with the narrative first, then build the presentation. Leave time at the end for questions and conversation. This can be a great way to infuse the participants own personal experiences around the topic. Rehearse – but not too much! Know your narrative in and out, but don’t rehearse to the point that the delivery feels rigid. Rehearsing will also help boost the confidence of the presenter. Comfortable, interactive, and confident speakers top the list of how to ensure your next webinar will be a success. Need Help Managing Your Webinars? As a webinar production company, CommPartners has 25 years of experience helping to enhance and advance our clients webinars. We hope these webinar presentation tips will help your speakers deliver an outstanding and memorable learning experience! If you’re looking for someone to manage your webcasts, fill out our online contact form or give us a call at (800) 274-9390 to see how we can help. Want to talk about how you can take your webinars to the next level? Explore our learning management system, Elevate. Give Meghan a call at 443.539.4851 or email mgowen@commpartners.com for more information. Virtual events are a trend that won’t be going away and are quickly becoming a strategic must for associations. Virtual events can reach deep within organizations and impact a larger number of participants. Traditionally, only a select group of individuals are able to attend in-person events, leaving a majority with nothing. Virtual events are evolving the way associations offer education, are cost effective, powerful and an efficient way of extending your most compelling content to your entire community. 1 – Plan, Plan, Plan. 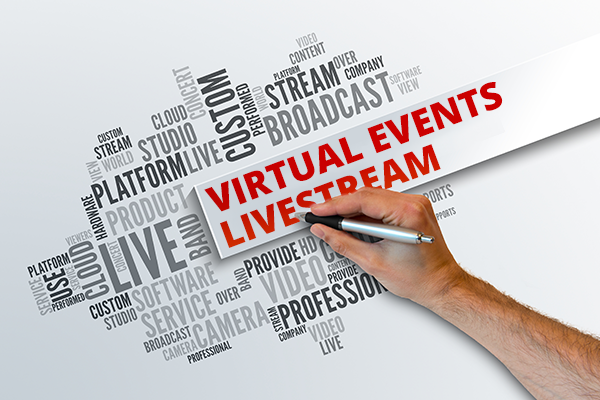 Virtual events require a significant amount of planning – maybe even more than place-based events. Ensure that you and your team have openly communicated about goals, intended outcomes, content and metrics. Develop and document a detailed event strategy with defined dates/milestones and pair with a corresponding production plan. A calendar of tasks and project deadlines will make for a smooth execution. Capitalize on the unique opportunities that a virtual event and the associated technology can offer. Leverage polls, self-assessments, chat features and integrated social channels. You can start the engagement well before your event and extend well beyond it is over. Having the right vendor partners is essential to the success of your event. Events that are poorly produced or using ineffective technology can leave attendees frustrated and dissatisfied. Be sure your partners can handle all support inquiries during the live event so that you and your team can focus on content delivery. Once the agenda is set, ensure that your speakers are well equipped to deliver stellar presentations that connect with the audience. In preparation of the event, take some time to guide your speakers on the technology and ensure they feel comfortable and encouraged. Additionally, make sure appropriate staff are prepared and have clearly defined roles for the live event. You have invested significant time in planning and preparing for your event. Be sure to effectively market and promote your event with the same intensity as place-based events. Promote early, often, and increase the intensity as you lead up to the live event. Facilitate the engagement, open up discussions, and promote conversation through social media. Getting attendees excited before the event will promise a lively and robust event and even pave the way for post event conversations. Virtual events shed a new light on member engagement strategies. They remove the barriers for attendance that exist with place-based events and as a result, extend your reach, revenue, and impact. 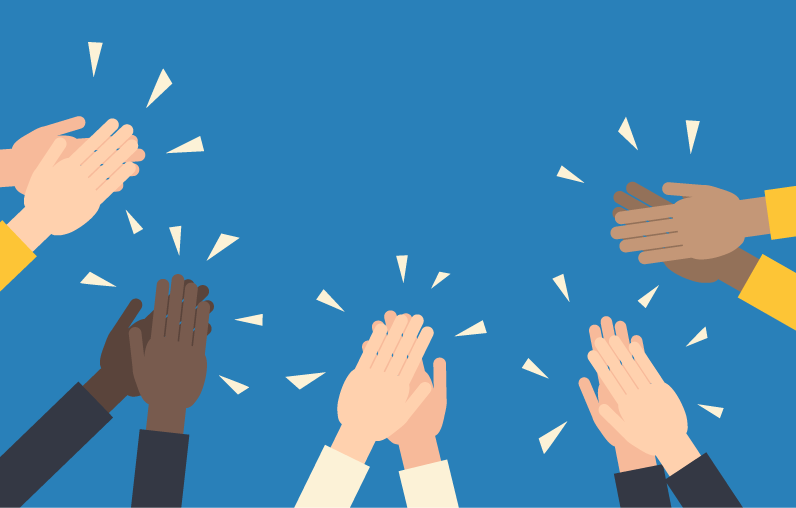 CommPartners produces hundreds of virtual events each year, including many that are executed from within an LMS environment. 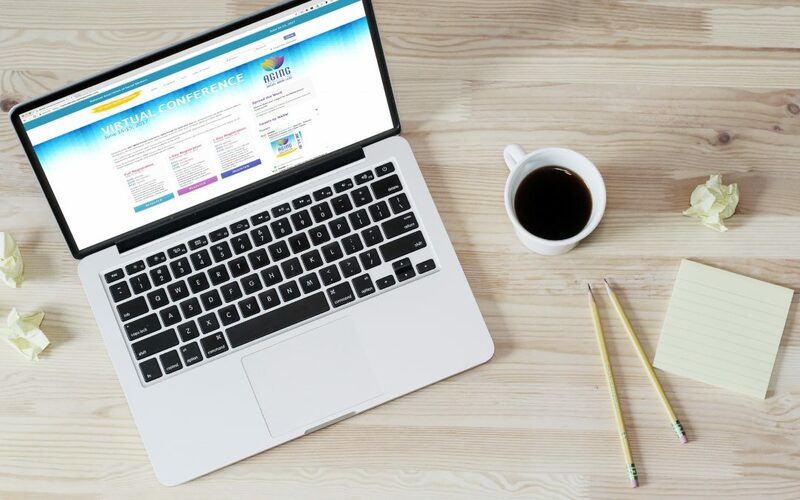 The seamless integration of CommPartners’ webinar and multimedia platforms within Elevate LMS make for a dynamic learning experience and hassle-free management for staff and presenters. To learn more about how to make virtual events apart of your strategic reality, please contact us. Webcasting, just like most things tech, is constantly reinventing itself and has evolved from a niche offering to a broad-based, versatile requirement for sharing knowledge online. Working for CommPartners, I have produced webcasts across a broad and diverse range of clients, each with individual needs, where custom and inventive webinar hosting services are often the only way to get the job done best. You know your members and how they prefer to engage, but are you leveraging the power of live streaming to grow your membership and reach? Private Webcasts: These are webcasts where the content is streamed to a specific audience with the credentials to access it. Most organizations like to keep their intellectual “capital” limited to members and other paid parties, and this type of webcast is strictly for members only. Public Webcasts: These are free and designed to raise awareness and interest in the organization. Often an organization will utilize a popular live event streaming service such as YouTube or Facebook Live to webcast a portion of their content free of charge, in order to promote themselves and their mission. Private and Public Simulcasts: This is a newer category of webcast, where organizations simultaneously provide a private, special experience for their members and other paid or pre-registered parties while live-streaming a part of their content over free social media channels, in order to advertise the experience. What a strong, exciting way to self-promote! Live event webcasting comes free with YouTube and Facebook, and most organizations already have a presence on these networks. While Facebook may be superior for organizational staff to post small live clips to promote their events, YouTube is the ideal place to provide a high-quality social media webcast experience, which can be shared rapidly among interested parties. As you know, to access a live event on YouTube, all you need is the link, and you can instantly connect to an unlimited number of viewers. An email blast advertising a live event on YouTube would likely be very well-received, as the prospect of participating in a live event broadcast draws viewers at a much higher rate than say a pre-recorded or archival program. By offering live event webcasting as a live promotional webcast on YouTube, the opportunity to organically reach new audience members increases exponentially! CommPartners, in addition to offering webcasting in private, controlled environments, also provides a suite of event live streaming services. We have worked with clients to both simulcast and live-stream events and select content to YouTube. 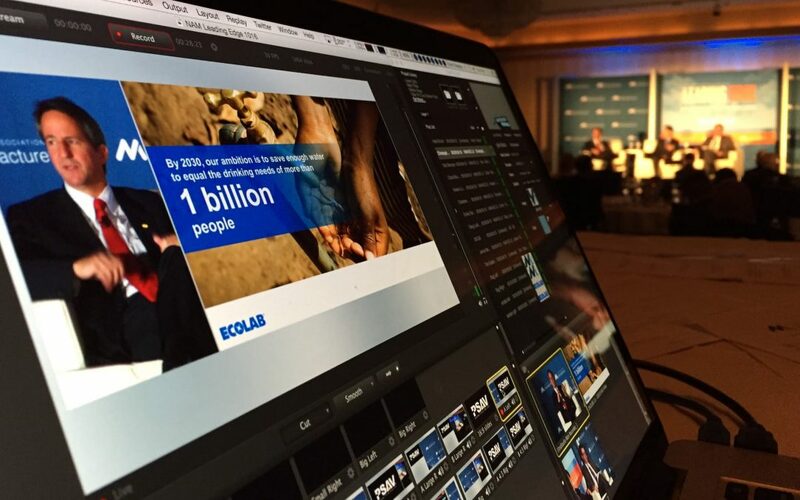 Social Media webcasts are one of the most powerful organic ways to expand your reach. You are already using it to keep members, fans, and other pertinent parties up to date with your organization — So, why not leverage some of your intellectual capital and show the world why membership to your organization has its benefits! To speak directly with someone at Commpartners about our live event streaming solutions, or to find out how you can add a social media webcast to your event or virtual conference — contact Meghan Gowen at mgowen@commpartners.com or give her a call at 443-539-4851.